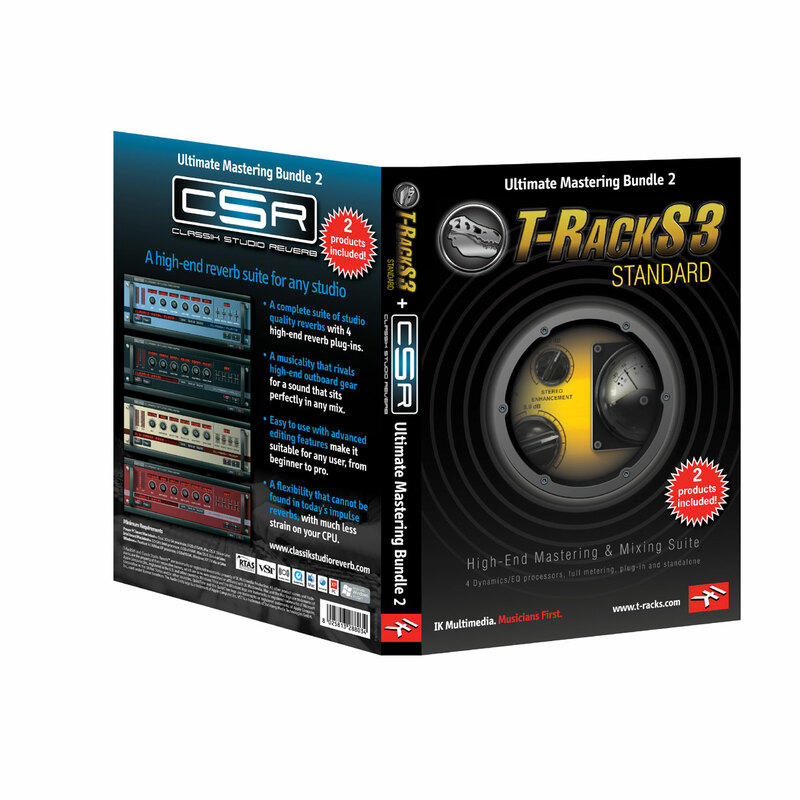 T-RackS 3 Deluxe, Other effects bundle or multi-effect from IK Multimedia. 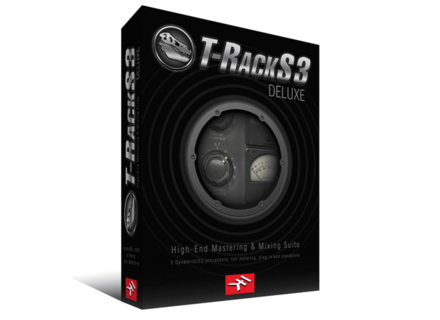 IK Multimedia T-Racks 3 Deluxe is a mastering bundle that has some vintage compressors, limiters and even EQ’s. The price of this package is very low considering everything that you get with it. I own many mastering suites from different companies and most of them are the same I only purchase to see if there are some new compressors and plug ins that I can find useful. So with the price of T Racks 3 I knew I had to give it a shot! I have been working with this bundle since 2009 and still use some of its plug ins today. Setting up this bundle is easy; it is like installing and setting up any software. It just depends on your system, because older systems may not response well to it because at times it can get CPU heavy. When this came out years ago I was using it in XP and it worked fine and now I use it in Windows 7 and it still works fine. It comes with a Multiband Limiter, Compressor, Equalizer, and Clipper all made by T Racks. You can pretty much use any of the plug ins in any DAW that you choose and some can be used as a standalone model too. The T Racks compressor is a classic tube style compressor that is great for mastering with. This is the plug in that I mainly use the most and was one of the main reasons I chose to purchase this bundle. You can use any of the plug ins on PC or Mac computers as long as you are running 512 MB of RAM and have a semi fast processor. I do not use these plug ins to do my final masters with but I do use some of them to get some good mixes and cool sounds with especially the compressor because it is very clean and warm. It has a sound that no other mastering bundle was able to give me and that is why I am so happy with it. There are a lot of mastering bundles out there and this one isn’t one that I will say is better than the next one but it does have some good features and is easy to use. Because of the price, I say purchase it! There are many other software bundles that cost double this one, and has basically the same features and tools with it. Although I have only had it a very short time, I am truly amazed by the difference it makes to my mixes. I have a Tascam 2488 24 track and quite a lot of new and vintage outboard gear. The T-Racks mastering software has given my mixes the polish and dynamics that I could never achieve before without outsourcing my mixes to a mastering house (and paying big bucks). The presets in T-racks are amazing and are a great place to get started but you can easily tweak any of the presets and save them for future use by just renaming them. The parameters of each module are highly responsive. The “Compare” button allows you to instantly A/B the mastered sound with the original while the track is playing. One nice feature is the ability to load up to four different presets at one time by simply assigning various presets to the A B C D buttons on the interface. This allows you to compare any of four different mixes (plus compare any of them to the original track) by just clicking on each button while the track is playing. Imagine four mixes to listen to and tweak without stopping to load a new setting. The sounds of the compressors and limiters are excellent and the EQ modules are very responsive with great usable graphics. Overall, You can go for and get just about any final mix, from big-wide-huge-crunchy to intimate and crystal clear, or anywhere in between with this. Amok_'s review (This content has been automatically translated from French)" "Vintage" tools very well insert"
The deluxe suite includes three classic and vintage series with compressor, EQ and multi-band limiter. 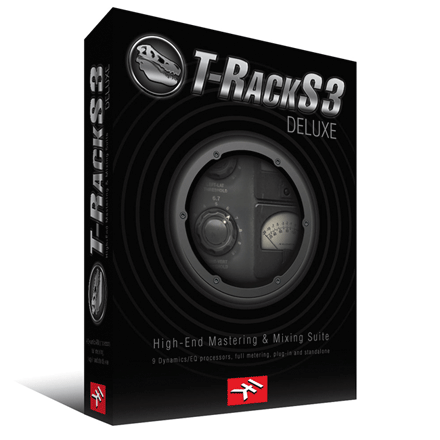 If the T-Rack is the precursor of mastering tools on the PC, it is not really a reference and was much criticized for its lack of transparency. As pure mastering tool, it is just okay. Some are free vst as well. However, it has good presets, which will delight the beginner. For cons, the series vintage insert on a track like element to heat, and really good. It is now one of my favorite plug insert, when I want to root / vintage side. Beaaxe's review (This content has been automatically translated from French)" Perfect for beginners"
This plugin is just a wonder to those who want to get to the end of their sound and mastering a wide lens. Installation is hassle and use is very simple. The presets are easily accessible through pull-down menus and varied: compression instruments (drums, guitar, vocals, bass), EQ, limiter and clipper. I'm currently running with a pretty basic PC, Compaq presario CQ-61 with an AMD Sempron processor 2 GHz, 4GB of RAM and a sound card IDT high definition. I use Cubase 5 with a line 6 UX2 audio interface. I get a lot of latency issues (see full bug crackling sound) when I run, especially with certain settings. Ladle. My PC is probably a bit low. I use it for about 6 months and this is my first mastering software that I could use. It suits me perfectly, for me it is a pearl and value: price is very good considering the fact that there are many tools in this plugin with several compressors, EQ, limteurs and clippers.